And I have little people watching me. The older I get, the more I understand that life is really about setting up your children for their own unique lives. It’s not really about me anymore – at nearly 40. I’m doing it. I’m achieving my dreams. Going after everything that I’ve ever wanted… and now it’s time to help my little ones do the same. Building my daughter up is such a priority. As a child, I’m not so sure anyone guided me by these same principles. Meaning I wasn’t told to aspire to be the CEO – to own the company – to strive for greatness. I was told to be happy. And you know what? That was a great message to hear. I am lucky to know both messages. To understand the power behind happiness and dreaming big – what a combo! Imagine what our children can achieve if they hold both virtues in their hands? I’m excited for watching my daughter succeed! As someone who has a daughter that is so impressionable, I want to teach her at this early age that she can become anything. I mean literally anything. I mean, remember when we used to say, “anyone can become president” but we sort of didn’t mean and now we absolutely do? ANYONE can do anything – as long as you put your heart and soul into it. That’s my mission statement for my household and building my daughter up will help her achieve it. Dream big but then put the effort into chasing those dreams. Natalie wants to own her own bakery when she gets older. She’s even picked out the name of her tiny shop! It’s cute! I won’t tell you the name because I think the “big reveal” should be done by the owner – not her mother. 😉 Her bakery dream has become MY dream. I want her to do this. I want her to succeed and I’m 100% there for helping my daughter succeed. SO, I started to plant the seeds. Talking about saving money, being responsible, taking cooking classes, going to cooking school, watching baking competitions. We are in the learning and dreaming stages and she is in her glory. Natalie sees my office. She sees me running around the country. She sees me on TV. The late nights are apparent. She sees me in my hustle. She knows it’s hard work. But she also knows that all the energy I put into my job is for US. 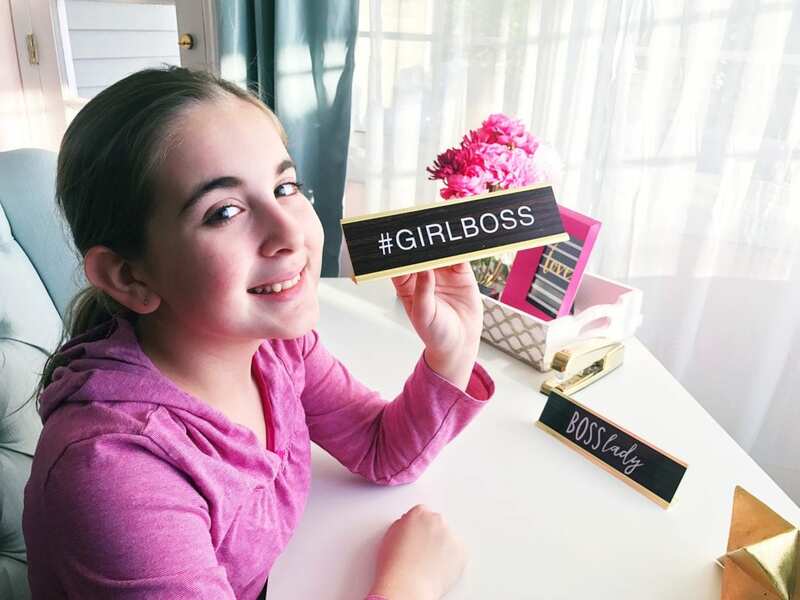 It’s OUR business and I think the entrepreneurial bug has bit her! I’m so happy too! I can’t wait to see what my #GirlBoss does. I will always be there to support her and helping my daughter succeed. Every single step of the way.